Amsterdam's one of those cities you could easily spend a week or more in without getting bored, there's so much to do and so many things that make it so much more incredible than only being that city where people just want to go for (semi)legal highs. 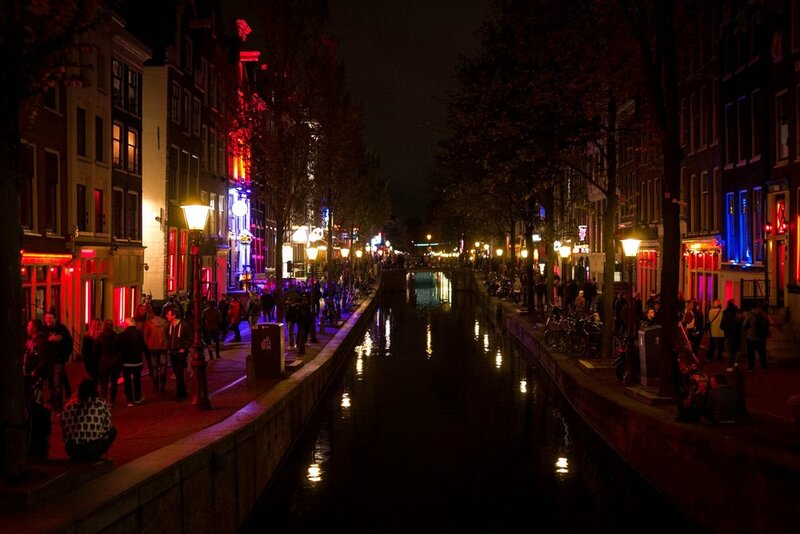 For us, here's the 8 things that make Amsterdam amazing. Unless you walk around with your eyes closed (which would be ridiculously dangerous in this city) you can't miss the canals, they're what give this city so much charm. As soon as you start walking down the canals you feel a sense of familiarity like you've just stepped into someone's Instagram photo. Decorated with beautiful townhouses that slant worryingly far from one another, and cars parked dangerously close to the waters edge. You can easily end up walking much further than you expect as you navigate yourself through pathways & bridge ways which means you can enjoy all the calorific delights without guilt but could also mean you find yourself miles away from your end destination. This ones in here because it's such a fascinating place to visit and so many worlds away from life in the U.K.. You could easily walk down these streets during the day and not even realise that you're in the worlds most famous Red Light District, but as soon as the darkness sets in this place comes alive. The whole area glows and there's girls in every window (with quite a few sat texting their friends or chatting with the girls in the other rooms) but for some reason the area just doesn't seem as seedy and dark as you'd imagine. There's people of all ages wandering down the streets on their own, in couples or in big groups of friends just having a mooch down the cobbled roads, and throughout our stay in the city we didn't see a single group of rowdy stags in this area! Similar to the canals, these are literally everywhere. Everywhere you look there's bikes parked up or chained to bridges, how you ever find your bike once you've left it somewhere is beyond us because there's just so many and they all look pretty similar too. There's also a constant chance of being knocked over by someone speeding by on a bike, there doesn't seem to be any rules as to where bikes can and can't go and they definitely seem to rule every road and pavement over pedestrians and cars / trams but as long as you remember to always check before you step out it's quite a thing to see and experience for yourself. Also be prepared to see no helmets whilst the cyclists are texting or smoking as zoom by. Bonus fact: there's 850,000 residents in Amsterdam and a whopping total of 847,000 bikes in the city, and of those many bikes between 12,000 and 15,000 get fished out of the canal every year - a sight we saw on our second day in the city! This is easily our favourite spot in Amsterdam, even on a rainy day there's no better place to be than Hortus Botanicus. Made up of a huge outdoor garden, large plant house, butterfly house and a gigantic greenhouse with 3 different tropical climates inside you can easily find yourself spending hours and hours here getting lost in desserts and jungles with indoor rain - you'd be forgiven for forgetting all about the hustle and bustle that lies a few hundred metres away. There's a full post packed full of photos & a video of the amazing elevated walkways here if this has you wanting more. Being from England a big cone of chips will always hold a special place in our hearts which is handy because there's shops on every other street serving these up straight from the fryer with lashings of mayo (other sauces are available if you prefer) and if you go to somewhere a bit fancier like Manneken Pis you can even find yourself dipping in truffle or pesto mayo. Not the kind that instantly springs to mind, but Amsterdam has some pretty amazing coffee shops and had we of been then longer than 3 nights we'd of probably found ourselves drinking at every single one. Highlights definitely have to be Bocca, a huge coffee shop with its own roaster, gigantic house plants & plenty of space for working too, and Scandinavian Embassy, an adorable little shop with good brews and the tiniest open kitchen that you ever did see right in the centre of the shop. 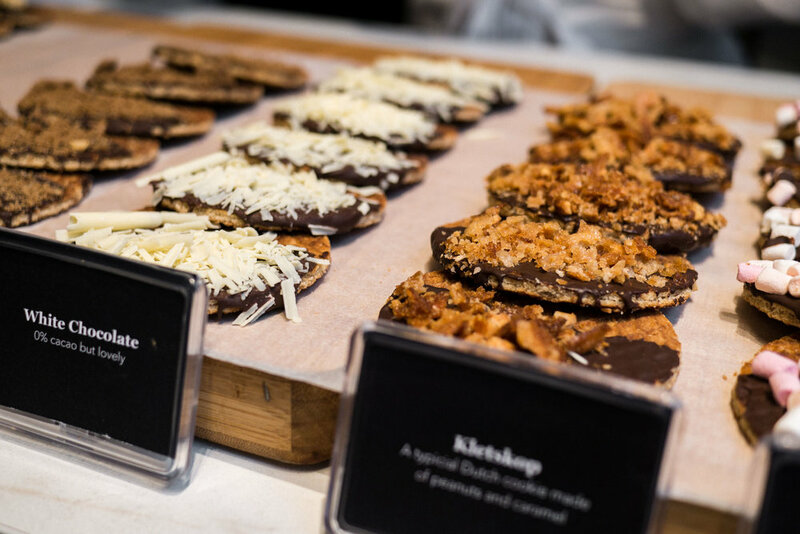 These famous Netherlands delicacies can be found everywhere from the daily street markets & airports duty free shops to bakeries & high end boutique shops. We'd recommend taking a trip to Van Wonderen for the most Instagram-worthy Stroopwafels (they taste delicious too obviously). As with any city we love to get our hands on something locally brewed and Amsterdam's not lacking on the local breweries! Whether you're into Heineken or something more crafty you'll find what you're looking for in the city. 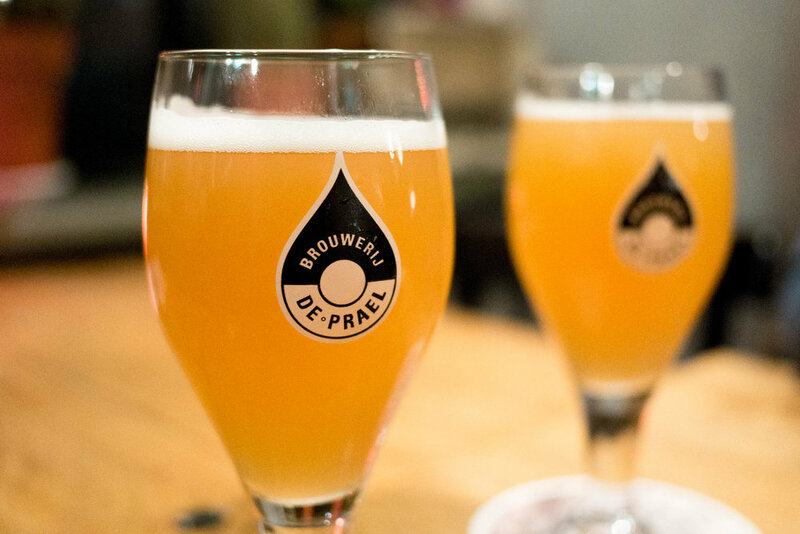 We'd recommend a trip to Brouwerij De Prael for a a really cosy but grand brew house, with onsite brewery tours just streets away from the Red Light District. Ps. 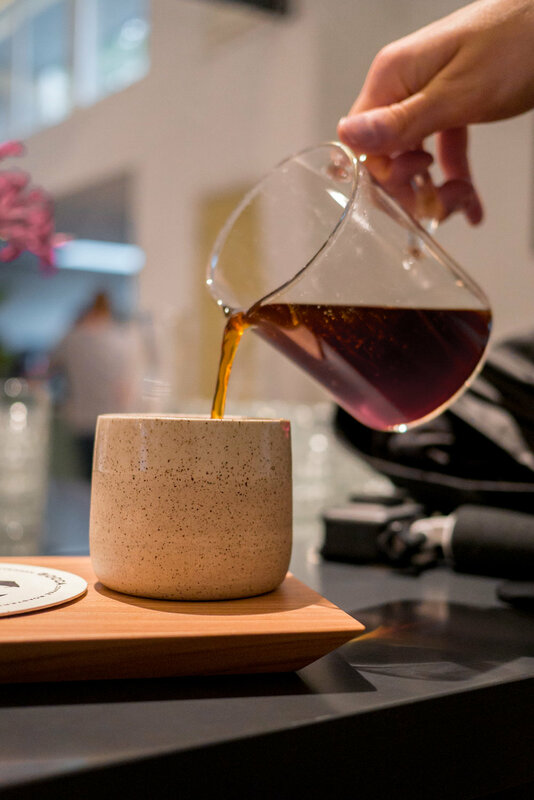 If you're look for somewhere to stay in the city that's full of charm and will set you up with the best breakfast check out our review of Ink Hotel.